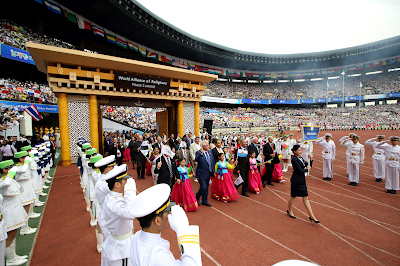 On 17-18 September, the 2014 World Alliance of Religions’ Peace, WARP Peace Summit was held in Seoul, South Korea, hosted by Heavenly Culture, World Peace, Restoration of Light (HWPL). The summit was attended by more than 50 political leaders including former and current heads of state, first ladies, Prime Ministers, and ministers from 30 countries, over 680 religious leaders from 120 countries, over 600 members of the International Peace Youth Group (IPYG) from 150 countries, and over 200 reporters from more than 100 media organizations of 80 countries. On the 17th, the first day of the WARP Summit, the opening ceremony and congratulatory performances were held at the Seoul Olympic Stadium. On the second day, the 18th at 10 AM, the signing ceremony of the Unity of Religion Agreement was held at 63 Convention Center in Seoul. 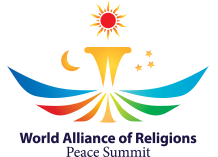 The WARP Summit was the largest event where politicians, people of religion, and representatives of various organizations from all around the world attended. The summit, which is the result of Mr. Lee’s World Peace Tours so far, is expected to serve as the foundation for bringing all wars to an end and achieving world peace. The agreement stated that religious leaders must unite their religions as one under the Creator in order to bring all wars to an end and leave world peace as a legacy to future generations, and representatives of the UN should make the utmost efforts to enact an international law for the cessation of all wars and contribute to world peace. It also stated that all the signatories should become peace advocates who deliver this news to people around the world and encourage them to cooperate in the work of achieving world peace. 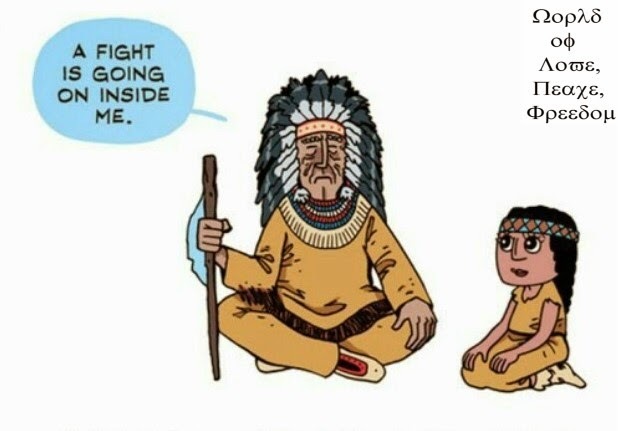 As the agreement was read aloud, it was emphasized once again that peace cannot be achieved by one individual but achieved through the unity of all people working together as one. Afterwards, the chairwoman of the International Women’s Peace Group (IWPG), said in her speech, “This agreement is only a beginning, but it has a tremendous power that will unite a promise with another and turn the whole world into a world of peace. This one piece of paper connects one country with another and unites different classes and different religions as one.” She expressed her deep emotions, saying, “This generation is in need of change that is close to reformation. In creating a peaceful world and leaving it as an eternal legacy to future generations, today’s signing ceremony is very significant. On the 19th, the Walk for World Peace was held at the World Peace Gate of Seoul’s Olympic Park with approximately 200,000 people from home and abroad. At the press conference that followed, the host organization presented the peace agreements signed during the WARP Summit, and urged reporters to become messengers of peace and report on the peace agreements of the WARP Summit frequently.